A well written story with beautifully complex characters. Slightly heartbreaking, but worth reading. 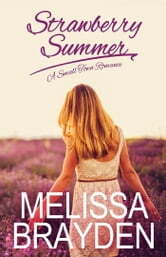 Melissa Brayden delivers another superb story with snappy dialogue and robust characters, and a seamless plotline that will tug at your heartstrings. I'm an avid reader of lesfic romance, and I found this one to be of excellent quality. Enjoy! Rollercoaster emotions. Loved all the unexpected twist coming along the way. I literally shed some tears.